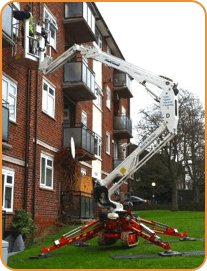 MC Property Maintenance offers short- or long-term access platform self hire across the South East including London, Brighton, Sussex, Surrey, Kent and beyond. 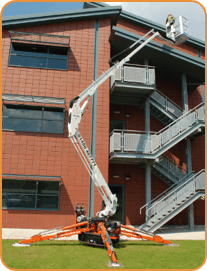 If you need to reach a high or difficult-to-access part of your building, our cherry pickers and access platforms can be the perfect way to do it. 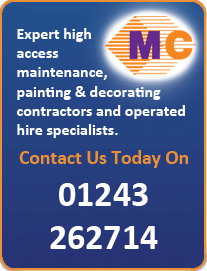 Don’t hesitate to contact us on 01243 530 076 for more information on what we can offer you. 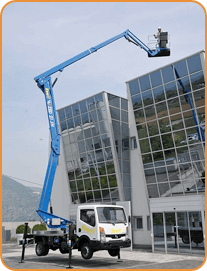 We will deliver to your site and help familiarise you with the equipment. 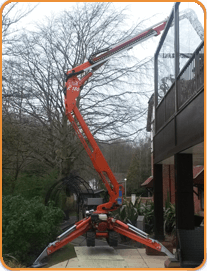 Ideal for work on construction sites, in warehouses or to deal with the maintenance on any large building, our cherry pickers are all less than three years old. One of most popular models is the Zed 21 JH which is available for self-drive hire and can be collected from our yard or delivered to you. 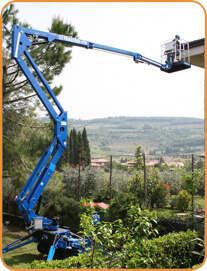 This machine is the market leader offering an increased basket weight of 300kg, a working height of 21 metres and an outreach of 10 metres. It also has a fly jib boom offering up and over capabilities.